It's Tuesday already - where does the time go? I'm really excited to be holding 2 stamping parties for friends this week. We're going to focus on the Holiday Catalogue - I have some card and tag ideas to share using some of the amazing new products. I'll share the samples on my next post. Here's a cool card made by my friend Colleen Vassos. She's so talented! 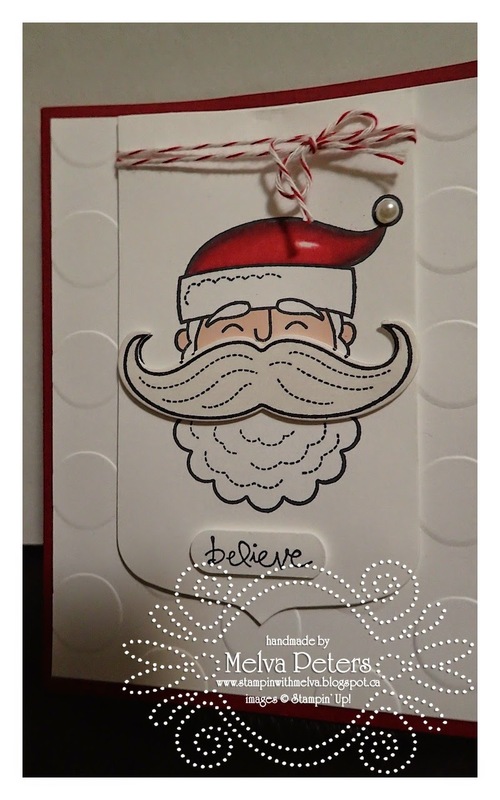 Colleen has used the Santa Stache stamp set (Item 135035) with the coordinating Mustache Framelits (Item 133741 from the Annual Catalogue). Isn't this adorable! 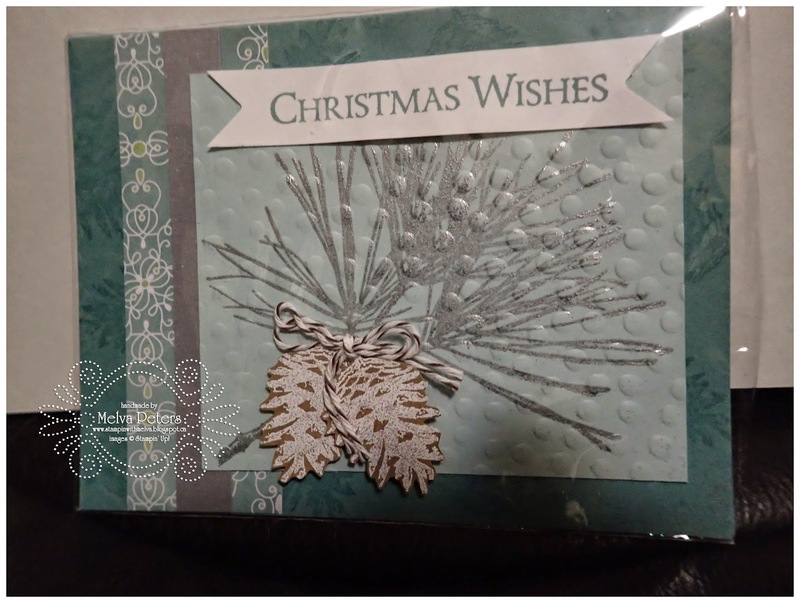 Ellie Blake sent me this card made with the Ornamental Pine Stamp set (Item 135107). The picture doesn't do this card justice! Ellie has cut the pine cones out and adhered them to the card. I love this! Don't forget to check out the Weekly Deals from Stampin' Up! You can click here to find them. 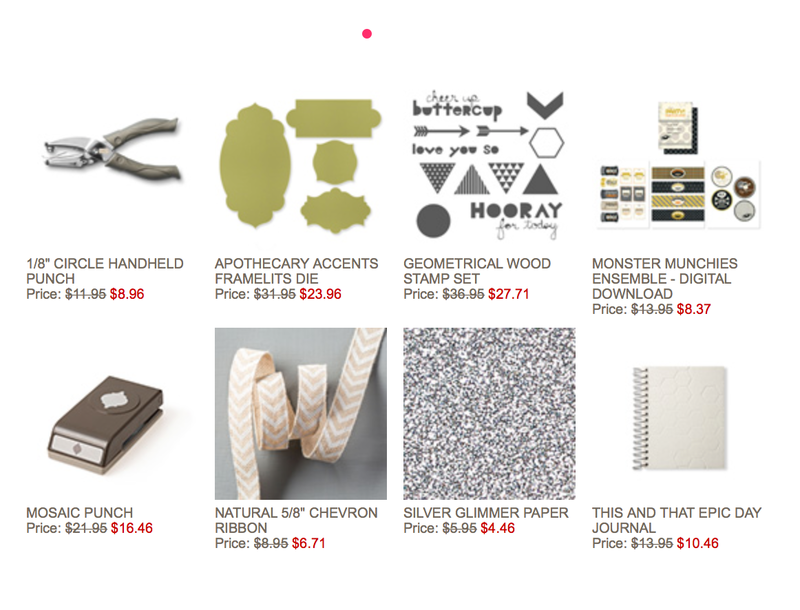 This week silver Glimmer paper is on sale! Just in time for your holiday cards!